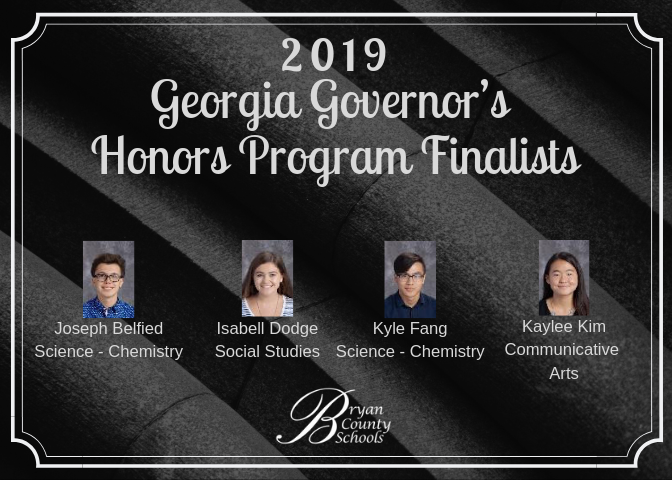 Congratulations to these students from RHHS on being selected to the 2019 Georgia Governor’s Honors Program (GHP)! GHP is a residential summer program for gifted and talented high school juniors and seniors. Selection is based on a combination of ability and interest and is highly competitive. Over 3,200 students were nominated at the state level, with over 1,500 competing as semifinalists in late February. 658 of these students were chosen as finalists, while 111 were chosen as alternates These students come from 242 different high schools and 89 school districts around the state.